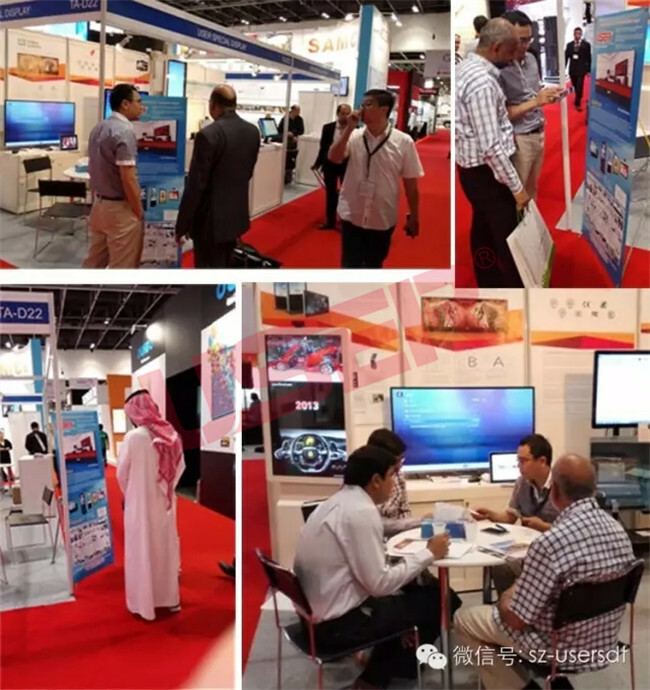 User-2015 InfoComm Middle East & Africa Exhibition - USER Special Display Technologies Co., Ltd.
2015 InfoComm Middle East & Africa Exhibition is held at the Dubai. As one of global financial center, Dubai has been entitled " a capital of trade" in the Middle East and north Africa. 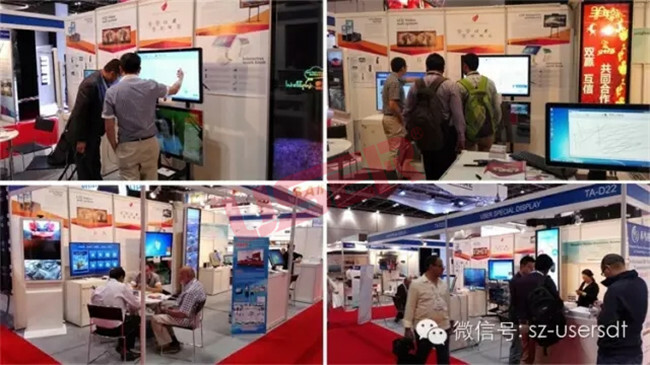 The exhibition has gathered world’s audio-visual technology and top supplier of education, transportation, security, medical, entertainment, construction, enterprise and government. It was fully supported by Dubai official, in October 21st, the Dubai King came and help the exhibition. After a lot of selection, USER got the honor to cooperate with the InfoComm exhibition in Beijing, and invited to the exhibition. Besides exhibiting many new products on booth, USER offer products friendly to the sponsor and other exhibitors, comprehensively reveal USER products quality. The exhibition is still ongoing, USER have been choosing by customers and successfully signed order with millions. Dubai exhibition is our 1st stop to expand overseas market, and make Chinese manufacturing become China's creation. USER have start innovation and will continue to provide more perfect visual experience. Innovation - we are not only talking about it, but doing it all the time. We diligently worked for 12 years to get a gorgeous turn, there will be one more 12 years to go, USER will keep excellent.